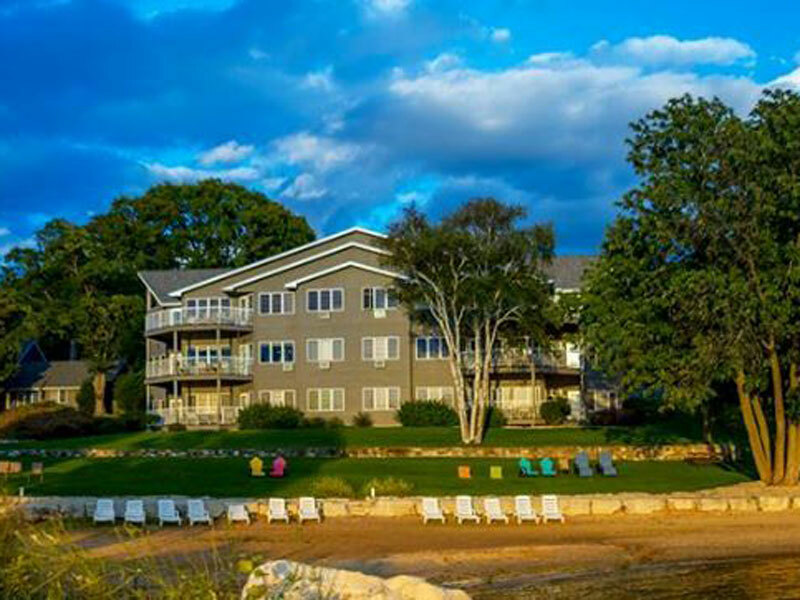 Located 2.5 miles from downtown Sturgeon Bay, the Bay Shore Inn is the perfect place to unwind from it all. Established in 1922 as a seasonal resort, the Bay Shore Inn was transformed into year round condominium buildings in 1991. 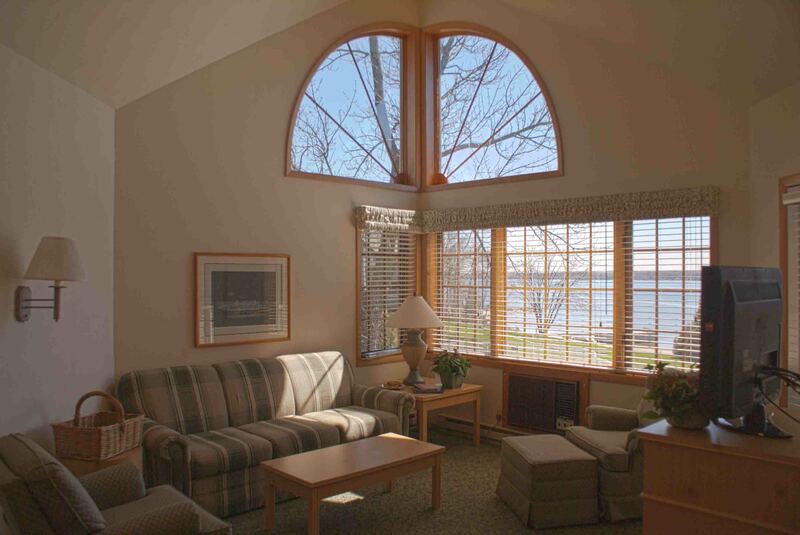 This family friendly resort with breath-taking sunsets sits across the bay from Potawatomi State Park. Our spacious one and two bedroom water view suites include: king size beds, double whirlpool tubs, fully equipped kitchens, living and dining room areas with a private balcony or patio. Relax on our private sand beach, enjoy shorefront grills and picnic areas, cruise the bay in complimentary paddle and row boats, swim in the indoor and outdoor heated pools, enjoy a scenic bike ride with complimentary adult and children’s bicycles, play a round of tennis or try your luck on our basketball court. Several golf courses are located within minutes. Amenities include-Air Conditioning, Dishwasher, Microwave, Telephone, Hair Dryer, Laundry Room, DVD/VHS Player, Complimentary Movies, HBO, High Speed Internet Access, Cribs, Playground, Fitness Center, Game Room, Meeting Rooms-Conventions, Fire Pit, Fireplace-Common Area, Packages including Massages, Water View and Waterfront Suites.